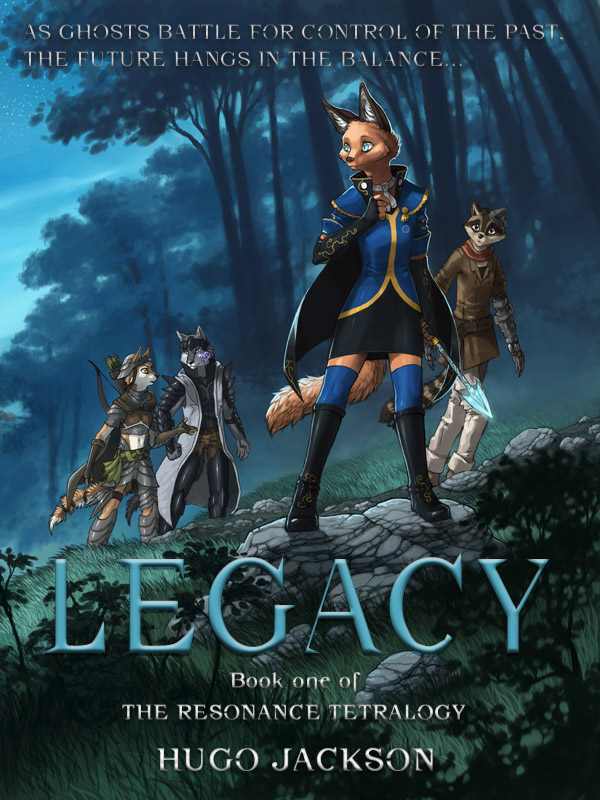 Here’s an e-book we recently stumbled across: Legacy by Hugo Jackson is the author’s first book, and also the start of “The Resonance Tetralogy”, which presumably means there will be three books to follow. “Faria Phiraco [a fox ] is a ‘resonator’, a manipulator of crystals from the moon who wields control of the elements. It is a rare and secret power which she and her father, the Emperor of Xayall, guard with their lives. But they are not alone… The Dhraka, malicious red-scaled dragons, have discovered an ancient artefact, a mysterious relic from the mythical, aeons-lost city of Nazreal. Their plan already in motion, they besiege Xayall, launching upon the city to find Faria and tear more of Nazreal’s secrets from her. But she knows nothing, except that the powers hunting her threaten the entire world. With her father missing, Faria has to rely on her own strength and brave the world that attacks her at every turn. Friends and guardians rally by her to help save her father and reveal the mysteries of the ruined city, while the dark legacy of an ancient cataclysm wraps its claws around her fate… and her past. She soon realises that this is not the beginning, nor anywhere near the end. A titanic war spanning thousands of years unfolds around her, one that could yet cost the lives of everyone on Eeres.” The book is available for the Kindle on Amazon, at it seems to be getting good reviews from the readers quoted there.